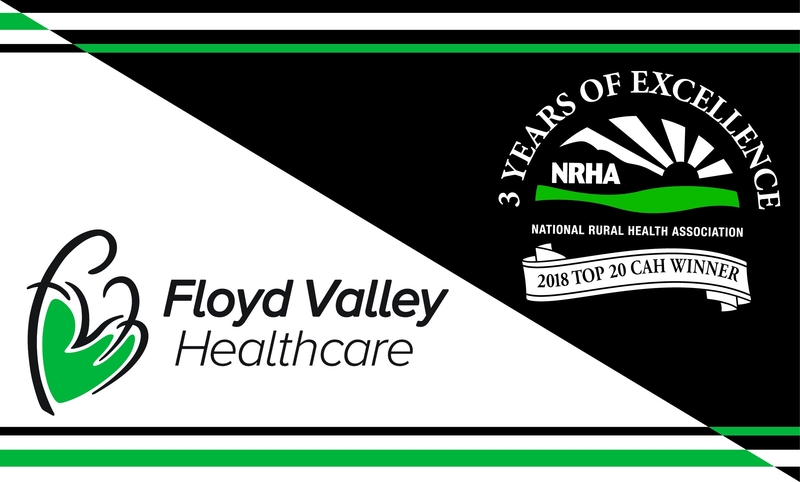 Celebrate Floyd Valley Healthcare being selected a Top 20 CAH winner by the National Rural Health Association for the 3rd year in a row. Floyd Valley Healthcare is allowing all employees to order 1 complimentary t-shirt. We will be sporting these during National Hospital Week, May 6-12, 2018. Choose from the short sleeve or 3/4 sleeve baseball jersey. The web store will be open until 11:59 p.m. on Thursday, April 26th. Choose LOCAL PICK UP when you check out to save on shipping and these orders will be delivered directly to Floyd Valley Healthcare. If you choose the $8.99 shipping option your order will ship directly to your home.